Organized at Harrisburg September 12-24, 1864. Ordered to join Army Potomac before Petersburg, Va. Attached to 3rd Brigade, 2nd Division, 5th Army Corps, Army Potomac. SERVICE.--Siege of Petersburg, Va., October, 1864, to April, 1865. Boydton Plank Road, Hatcher's Run October 27-28, 1864. Warren's Raid on Weldon Railroad December 7-12. Dabney's Mills, Hatcher's Run, February 5-7, 1865. Appomattox Campaign March 28-April 9. Lewis Farm near Gravelly Run March 29. White Oak Road March 30-31. Five Forks April 1. Appomattox C. H. April 9. Surrender of Lee and his army. March to Washington, D.C., May 1-12. Grand Review May 23. Mustered out May 30, 1865. Regiment lost during service 3 Officers and 37 Enlisted men killed and mortally wounded and 1 Officer and 44 Enlisted men by disease. Total 85. Colonel Sergeant had served as Captain in the Twelfth United States Infantry, Lieutenant Colonel Witman, as Captain in the Forty-sixth Pennsylvania regiment, and the majority of both officers and men had had experience in military duty. Soon after its organization, it was ordered to join the Army of the Potomac, before Petersburg, and was assigned to the Third Brigade, Second Division of the Fifth Corps, where it was associated with the Third and Fourth Delaware, and the remnants of the One Hundred and Ninetieth and One Hundred and Ninety-first Pennsylvania, commanded by General Gwyn. On the 27th and 28th of October, it was engaged for the first time, at Hatcher's Run, but suffered only small loss. On the 5th of December, it moved with the corps on the Bellefield raid, which lasted for nearly a week, the column destroying the Weldon Railroad as it went, together with station houses, and the stores of the rebel government. The rails were heated, and bent in many fantastic shapes, some of them being twisted into the form of a Maltese Cross, as a certificate of the fact, that it was done by the Fifth Corps. The weather was intensely cold while upon this march, and the troops suffered much, causing many to fall out of the ranks, some of whom were captured and inhumanly murdered. After the return of the column, much sickness prevailed in the regiment, occasioned by the fatigue and exposure to which the troops were subjected, and many died, among them the Chaplain, Reverend Taylor D. Swartz. In the action near Dabney's Mills, on the 5th and 6th days of February, 1865, the regiment displayed great gallantry, Colonel Sergeant leading with his characteristic heroism and disregard of danger, sustaining considerable losses in killed, wounded, and missing. 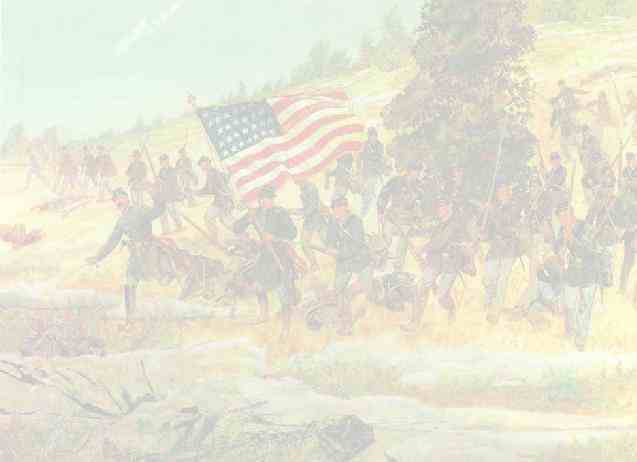 On the 27th of March, the movement upon Gravelly Run commenced, the Two Hundred and Tenth taking the advance, and during the fierce actions of the three days which succeeded, it was at the fore front, displaying a stubborn bravery, which was unsurpassed, and sustaining losses which unmistakably show the fiery struggle through which it was called to pass. Colonel Sergeant was mortally wounded while gallantly leading his command. Adjutant Morris Schlesinger, a scarred veteran, and Captain John N. Hughes, were also mortally wounded. Schlesinger, when found upon the battle-field, weakened by his wounds, exclaimed, " this is the death I have sought." Captain A. T. Kinney was wounded in the throat, and so mangled that he was never after able to speak in an audible tone. Lieutenants William M. Colwell, and John Harding, were also among the wounded. Captain John Cook, and Lieutenant Hosea Hudson, were wounded and taken prisoners. The entire loss was thirty-five killed, one hundred and fifteen wounded, and one hundred and fifty missing. The command now devolved upon Lieutenant Colonel Witman, who was subsequently commissioned Colonel, and under him, the regiment participated in the fierce fighting of the 1st of April, taking flags, small arms, and prisoners. In a charge made upon the enemy's works, it displayed its wonted courage, sustaining heavy losses in killed and wounded. With the corps, it followed closely the retreating army, and at Appomattox Court House, was upon the front line to the last, the flag of truce proclaiming the surrender, passing through the lines of the brigade in which it stood. After the rebel army laid down its arms, it returned to the neighborhood of Washington, and after participating in the grand review of the National troops, was mustered out of service on the 30th of May. The recruits were transferred to the Fifty-first regiment, with which they served until the 27th of July, when they were also mustered out. Source for history & rosters: History of the Pennsylvania Volunteers 1861-1865; prepared in Compliance With Acts of the Legislature, by Samuel P. Bates, A Member of the Historical Society of Pennsylvania. Volume V, Harrisburg: B. Singerly, State Printer. 1871.